Woohoo! I’m back with another packing post for you all. In this post we are going to attack the packing task that is a two-week holiday. I don’t know about you, but I find that for most holidays it’s clear which case you take, right? For a weekend away… a weekend bag. For a Ski trip… most likely a large bag because of the sheer volume of clothes you’ll need to keep you snug. 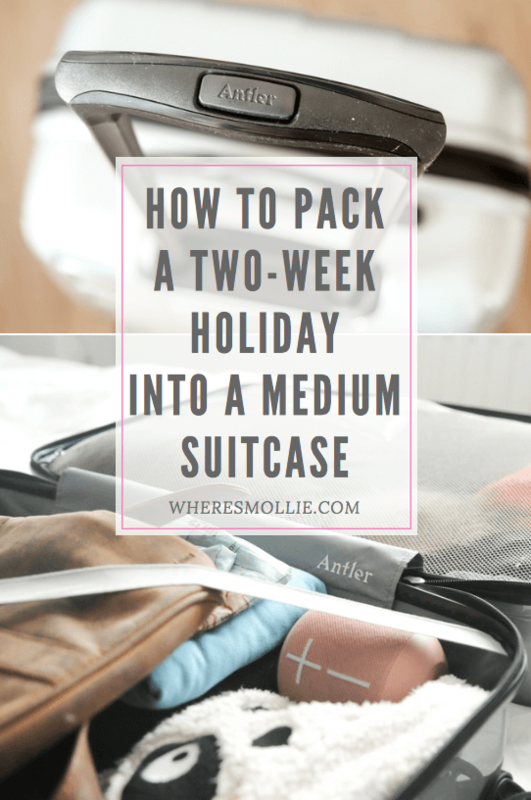 For a one-week holiday… a medium-sized case. For a backpacking trip… a backpack. For a two-week holiday though? I’m always torn between my medium case and my large case. Antler recently challenged me to pack a two-week holiday into a medium-sized suitcase, which actually wasn’t too much of a challenge, seeing as the medium-sized case is usually my preference for a trip of this length anyway. 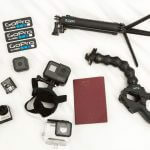 So let’s go through the advantages and disadvantages of a medium case, and why, for a two-week trip, the medium case is my choice. It actually fits everything you need in it… or enough if you pack correctly. a. Plan a little more carefully, if you’re one that tends to over-pack. b. Have a little list that you can use as a guideline. What went in my medium suitcase for a two-week holiday? This packing is based on a two-week active adventure, based in Europe during the spring season, so temperatures between 15-25°C. That’s what’s in my suitcase for 2 weeks of adventure! If you are a keen traveller you will get so much use out of it. Buying a decent quality case will cost you just as much money as a cheap suitcase you buy, which breaks and then needs replacing. 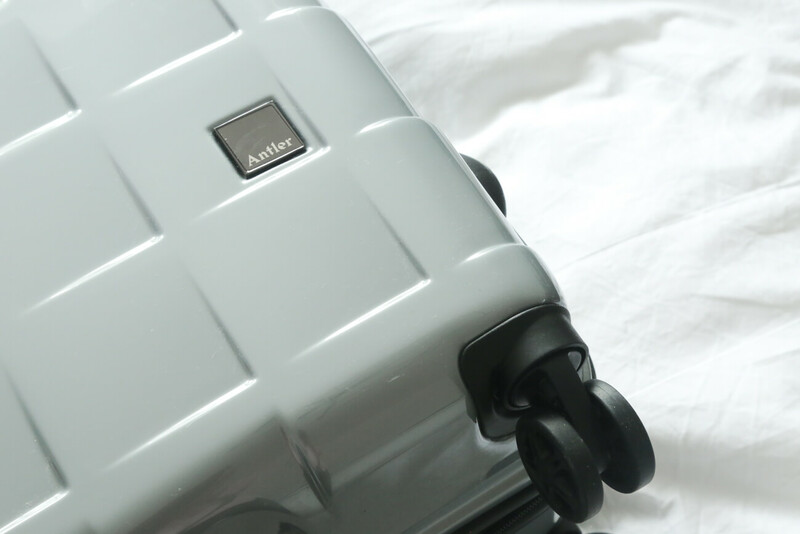 If you’re anything like me and fill your suitcase to the brim with clothes, having decent luggage will mean that when you are sitting on the suitcase and forcing the zips around to secure the suitcase, you know the suitcase is strong and won’t pop and break open – haha! If you travel loads, having good quality luggage means that you know your luggage is durable and can withstand your lifestyle. The Camden medium suitcase (featured in this blog post) is currently £65, reduced from £185! Shop here. This post is was written in a sponsored collaboration with Antler. As always, all the content, opinions and advice given in this post was created by me and is my voice. What’s your favourite luggage to take on holiday? I’d love to know! ?